Home » Civil Protection Orders » How do I File a Civil Protection Order in DC? In the District of Columbia, the process for getting a restraining order (or as how it’s called here, a Civil Protection Order or “CPO”), can be difficult without having an experienced attorney to help guide you through the process. However, the court does have resources available for filing CPOs without an attorney. And we’ve put together some information below to also help guide you through the process. If the petitioner and respondent have one of those relationships, then the petitioner can file a Civil Protection Order if the respondent has assaulted, threatened, stalked, or harassed the petitioner. In addition, if the allegations are stalking, DC law allows a Petitioner to file a CPO against someone whom they do not have an intrafamily relationship. In other words, if the allegations are that an individual is stalking the Petitioner, then the parties’ relationship does not matter. If the petitioner is in immediate danger, then the first step in the process is to file for a Temporary Protection Order or TPO. To file a TPO, the petitioner must go to the Domestic Violence intake center at DC Superior Court and fill out their standard forms. Or, if the petitioner, has an attorney, their attorney may file the request. For a TPO, there will usually be a hearing in the same day. However, anyone filing for a Temporary Protection Order should be prepared to spend most of the day in court. At the TPO hearing, the petitioner will state their allegations under oath in what’s called an “ex parte” hearing. Ex parte just means that the other side or respondent is not present. For the purposes of the TPO hearing, the judge will assume the allegations the petitioner makes are true. If the allegations demonstrate the respondent either harassed, stalked, threatened or assaulted the petitioner and the petitioner is in immediate danger, the judge will grant the Temporary Protection Order. The TPO will remain in effect for two weeks while the petitioner must serve the respondent. There are several options for service. The petitioner can ask the court to have the police serve the respondent. The petitioner can hire a private process server. Or, the petitioner can get an adult over the age of 18 that is not a party to the case serve the respondent. The Civil Protection Order hearing will usually be held within the two-week period that the TPO remains in effect. 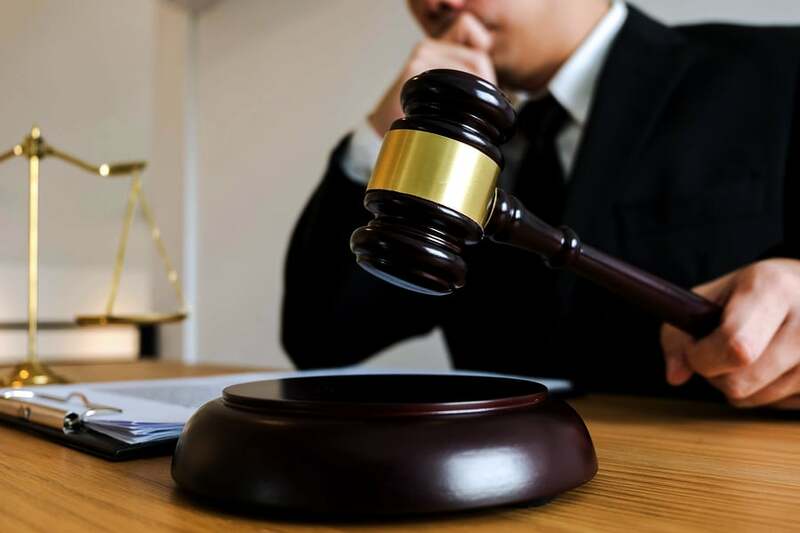 If the petitioner shows up for the hearing without having served the respondent, the judge will usually give the petitioner more time and leave the Temporary Protection Order in effect. If the respondent has been served and shows up for the Civil Protection Order hearing, the parties should also plan to be in court most of the day. The first thing the Court does is call the case and see if both parties are present. If both parties are present, the judge will refer the parties to an “Attorney Mediator,” a court employee who tries to help the parties reach an agreement without having a full-blown trial. If the parties cannot reach an agreement, then the case may have a trial. However, its relatively common for one or both parties to seek a continuance. If the case ultimately goes to trial, then the judge will decide whether to issue a Civil Protection Order. If the judge grants the request, the CPO remains valid for one year. If you are thinking about filing a Civil Protection Order, it’s important to speak to a knowledgeable and experienced CPO attorney. Contact Jay P. Myktyiuk today for a consultation at 202.505.6014 to discuss your case.